Proposed voluntary sodium reduction goals put forth June 1 by the U.S. Food and Drug Administration (FDA) reflect that Americans are getting too much sodium in their diet. FDA’s suggested short and long-term goals would enable food companies and restaurants to gradually adjust sodium levels using innovations like incorporating permeate as a cost-effective, sodium substitute. The new guidelines offer suggested sodium targets for 150 different food subcategories in addition to the daily recommendation of 2,300 milligrams. The FDA had these sodium reduction goals under consideration for almost a decade, as the link between sodium intake and hypertension became increasingly evident. A diet high in salt has been shown to contribute to heart attack, stroke and even heart failure, together the leading causes of death in Americans. These revelations, and an overall trend to eat healthier, have prompted some consumers to try and limit their daily sodium intake. Sodium reduction initiatives aren’t limited to the United States. There are 75 countries working to reduce the sodium intake and 39 have set sodium target levels for one or more processed foods. 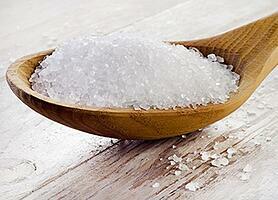 The World Health Organization has recommended a global reduction in sodium intake that is close to the FDA targets. Currently some food companies are making progress but part of the problem identified by the FDA has been the focus on making a few foods very low in sodium, instead of making most foods a little lower in sodium. The FDA proposal would provide the industry common targets across a broad range of foods. Permeate, also referred to as dairy product solids, is a natural substitute for sodium in some popular foods on the market today like baked goods, soups, sauces, dry mixes, and meats. In fact, permeate has proven to be a unique tool in the trend to reduce sodium. The dairy ingredient saw its use in new food products increase by over 64% between 2010 and 2014, signifying that food manufacturers and processers are increasingly aware of the need to find healthier alternatives to a diet inundated with sodium and look to permeate as a viable solution. Research conducted by the Wisconsin Center for Dairy Research on behalf of the U.S. Dairy Export Council show that many formulations, with the addition of permeate, can have their sodium content reduced by 50-70% while still retaining the salty flavor that consumers have come to crave. A permeate substitution has been proven effective in a diverse array of food products and prepared meals. Permeate has other functional benefits in addition to its use as an alternative to sodium. From browning in baked goods to flavor enhancement in meats and soups, permeate is a cost-effective and valuable addition to many formulations. Visit ThinkUSAdairy.org to learn more about this versatile ingredient.